Mrs. Cellie Henry Corbett 88 of 114 Henry Lane Ivanhoe, NC died Saturday, November 24, 2018 at Laurels of Pender in Burgaw, NC. 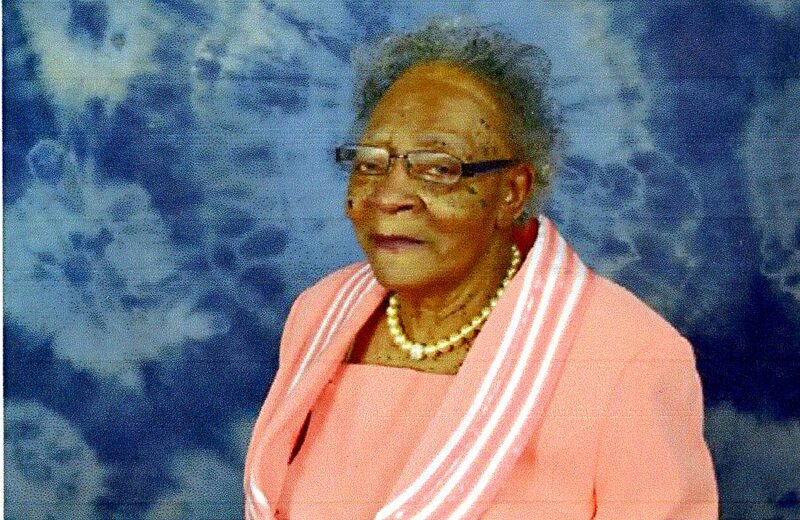 She was the oldest child, born on August 19, 1930 to the late Jimmy and Matilda Henry of Ivanhoe, NC. She attended Sampson County School System. For the majority of her life, she was employed as a domestic worker, did seasonal farm work and also provided childcare for others in the community. She joined Snow Hill Missionary Baptist Church at a very young age where she worshipped faithfully and sang on the choir. Cellie was always a very kind, humble and gentle person. She was giving and forgiving. She was a wonderful mother and a loving aunt. She had a special love that enhanced all that knew her. She was married to the late William L. Corbett, who preceded her in death and one son, Kenneth David Corbett, who also preceded her in death. She leaves to cherish her great memories, her children; Annie Ruth (Christopher) Alexander of Greensboro NC; Lee Carnell Corbett of Ivanhoe, NC; William A. Corbett of Junction City, Kansas and Cathy (Herbert) Douglas of Ivanhoe, NC; ten grandchildren, and three great grandchildren. She also leaves her loving nieces, nephews and a myriad of cousins, other relatives and friends.